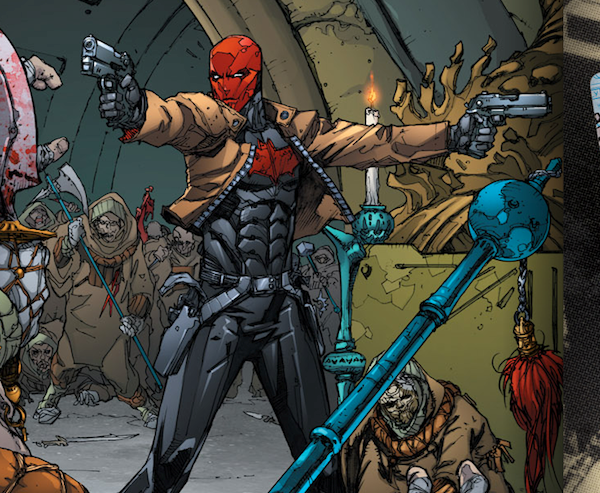 h Red Hood first appeared in Detective Comics #168, "The Man behind the Red Hood. The Red Hood is a former robin who died to the joker. He was voted to die as robin because he wasn’t a much liked robin. He was then resurrected by Talia and Ra's Al Ghul. He became broken and now seeks revenge on batman for not avenging his death. In 2010 a film was released called under the red hood in which the film did very well. Its rating scored 8.0/10 from 25,030 users on imdb. This just proves that the robin we (Jason Todd) despised has turned to a well-loved character. I think the Red Hood deserves another film in the spotlight. I think it would be awesome.